Ovi magazines believes the death penalty is the ultimate cruel, inhuman and degrading punishment. It violates the right to life. It is irrevocable and can be inflicted on the innocent. It has never been shown to deter crime more effectively than other punishments. During 2006, at least 1,591 people were executed in 25 countries and at least 3,861 people were sentenced to death in 55 countries. These were only minimum figures; the true figures were certainly higher. In 2006, 91 per cent of all known executions took place in China, Iran, Pakistan, Iraq, Sudan and the USA. Based on public reports available, Amnesty International estimated that at least 1,010 people were executed in China during the year, although the true figures were believed to be much higher. Credible sources suggest that between 7,500 to 8,000 people were executed in 2006. The official statistics remain a state secret, making monitoring and analysis problematic. 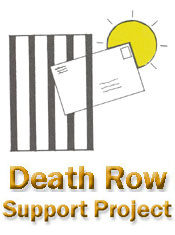 We have been asked by the Death Row Support Project (DRSP) to promote their pen pal project, so please support the initiative if you have the time. The Death Row Support Project (DRSP) was conceived in 1978 as a way to reach out to those on death row in the U.S., and as a way to educate the rest of us about the realities of the death penalty in this country. During the last 29 years, thousands of those sentenced to death have received letters from individuals on the outside willing to extend friendship through letter-writing. Some correspondents have gone beyond that: visiting, sending small amounts of money, being the “face of love” at an execution. One man’s sentence was reduced because of the testimony of his correspondents. Initially, death row prisoners were picked randomly to receive letters. Over the years, as prisoners learned about DRSP, they began writing to the project requesting a pen pal. At one time requests from outside prison walls kept up with the requests from inside; however, in the last few years the project has been receiving about ten prisoner requests for every one request from the outside. Those who stick with the writing often cultivate interesting, caring relationships. Many have written to say that they began with the idea of what they could do for the prisoners, but now feel as though they receive more than they give. Sister Helen Prejean, author of Dead Man Walking, has spoken of the importance of fidelity when we reach out to those on death row. Often they are persons who have encountered abuse and/or neglect in their childhoods. Many have been abandoned by family and friends. Someone hoping to begin a new relationship with an inmate needs to take it very seriously and weigh the commitment involved. Helpful information includes your age, and whether you would like to write to someone in your own state (or not). Those who answer the call to write to a death row prisoner will receive a list of suggestions for writing, along with a letter from a person under sentence of death somewhere in the United States. Thank you for bring awareness to me and others. Please know I am planning on logging onto and creating a line of correspondence.